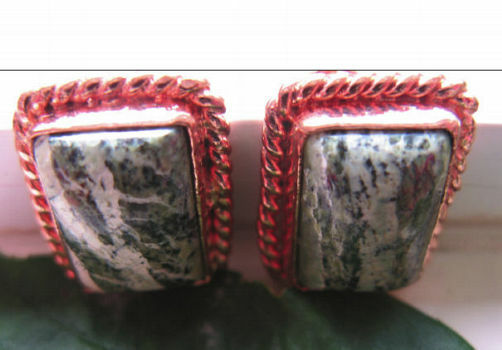 Solid copper stud earrings with agate stones. 3/4 of an inch long x 9/16 of an inch wide. Post are also solid copper.